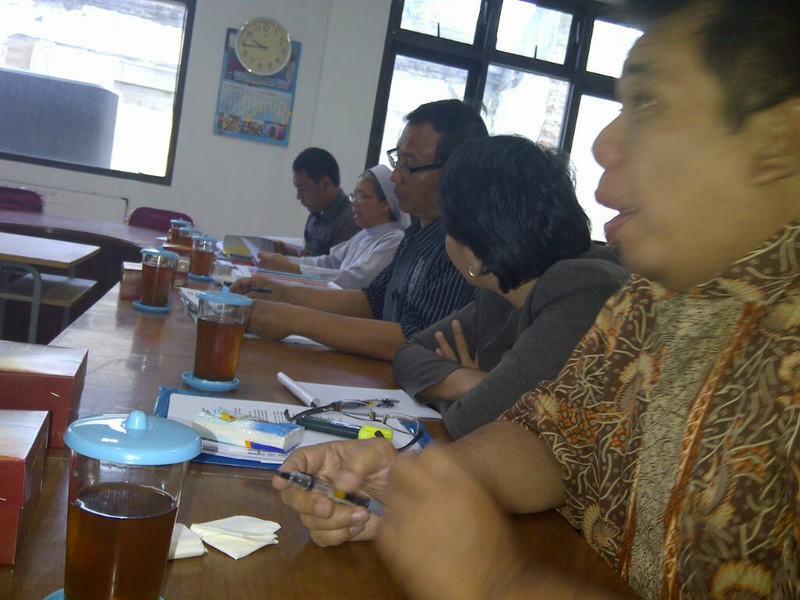 Tegal District leaders and Catholic representatives hold special meeting. Sister Madeleine rejects accusations and reiterates her schools' policy, from kindergarten to high school. Muslim parents with children in Catholic schools agree, defending the latter's independence. Jakarta (AsiaNews) - The demand to include Islamic teaching in Catholic schools is proving controversial again. A few months ago, the Education Department in Tegal District (Central Java) warned St Pius Catholic Schools to include Islamic courses for Muslim students. Local authorities summoned Sister Madeleine, of the Daughters of Our Lady of the Sacred Heart, to meet the district council to discuss the issue. The woman religious runs the Asti Dharma Foundation, which manages various St Pius schools, from primary to secondary as well as vocational training. In yesterday's meeting with Tegal administration, the nun used all her eloquence and power of persuasion, backed by the moral and political support of Catholic lawyers and Fr Frans Widyanatardi Pr, who is in charge of Sacred Heart parish. The row over Islamic education for Muslim students goes back a while, first raised by the Education Department and then the Religious Affairs Bureau, until local media, radio and TV, picked up the story and made it public. The situation is critical because the sisters of the St Pius Catholic Schools have received threats and warnings, including the threat of having their schools shut down if they do not comply with the requests. In response to critics, Sister Madeleine said that only two Muslim kids attend the St Pius Catholic Kindergarten, nine are in primary school, 12 in junior high and nine in high school, this out of a total school population of around 1,400 pupils, Fr Frans told AsiaNews. Muslim parents have come out to defend the Catholic schools, saying they do not believe the schools would be closed for the lack of Islamic courses. "Who are these people" who asked the Tegal Education Department to impose Islamic teaching for Muslim students, said Mr Charles Sinaga, a Muslim, who has a son in junior high, especially since the requests that were made remain anonymous or vague. For him, "only parents are morally entitled to make such requests." Unlike other nations, religious education is compulsory in Indonesia. However, in Christian schools, Christianity, not other religions, has been taught. The goal in any event is not to proselytise or "convert" non-Christian students. Even when pupils ask to be baptised, they still need their parents' consent. In addition, those who do convert tend to be Sino-Indonesians who leave their ancestral religion, not Islam, for Christianity.